From afar, these Mariposa tulips look like simple white flowers. I came across fields of these on the east side of the Rincon Mountains in Happy Valley in April, 2001. The white exterior hides a complicated and incredibly beautiful reproductive system. 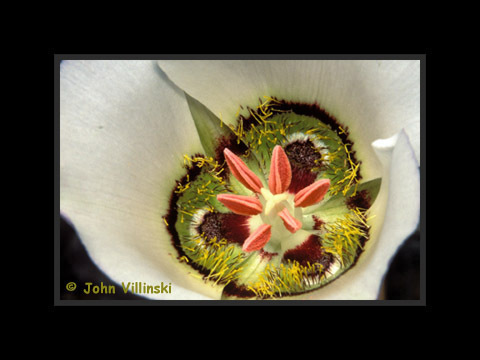 This images works as a great triptych with the other two Mariposa tulip details.